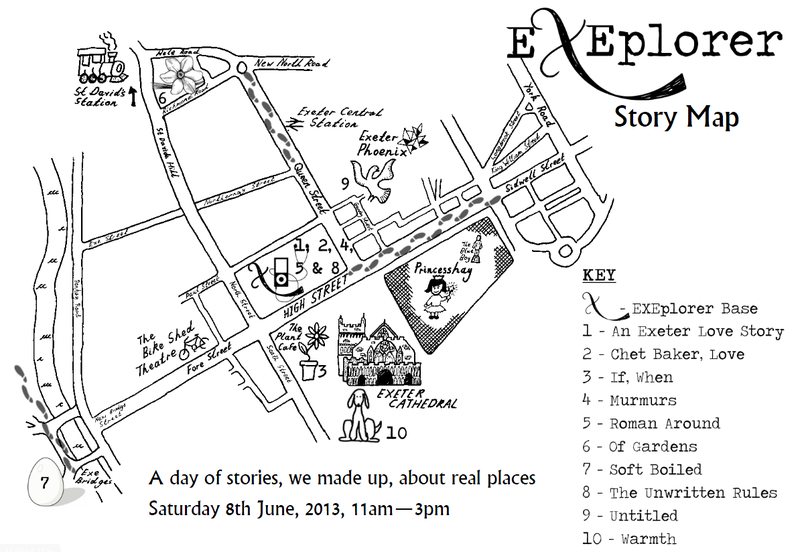 On June 8th, I created a short audio piece for Exeplorer, as part of the Ignite Festival. This was my first attempt at making a piece of work for a garden setting, drawing on the historical research I had done concerning my ancestor, Thomas Bushell, and also including Maeve Creber’s enlightening research into Little Silver green itself. The MP3 audio file is below, as a number of people have said they would like to experience the piece, but were unable to make it on the day. Although you can listen to the recording anywhere, it is designed to be listened to on Little Silver green, and is nowhere near as interesting out of context. You should also bring a potato with you – just put it in your pocket until required. The Exeplorer map can be found here. You can access Little Silver (which is off the road) via alleyways from St David’s Hill, from the Richmond Road car park or Queen’s Terrace (off Hele Road). The piece is about 20 mins long. As you listen, you are welcome to wander around the green, which is a public space in any case. The piece does ask you to look at the houses, but not through the windows – thank you in advance for respecting my neighbours’ privacy. Of Gardens is performed by Cathy Turner and Christopher McCullough. Produced by Emily Holyoake for Exeplorer.